Diabetes is a metabolic disease in which the blood glucose levels are high as the absorbing hormone insulin is produced quite less or not produced at all by pancreas. Insulin, a hormone produced by exocrine gland, helps glucose from food get into your cells to be used for energy. Sometimes body doesn’t produce enough insulin or doesn’t use it well. Glucose then stays in the blood and doesn’t reach the cells. High levels of glucose in blood leads to a chronic condition called diabetes mellitus. High glucose in blood may cause severe damage to vital organs. 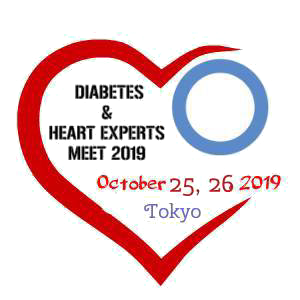 Diabetes increases the risk of various cardiovascular diseases such as coronary artery disease, heart attack, and renal failure, high chances of infections, and damage to sexual organs leading to sexual dysfunction. Diabetes causes foot ulcers and may cause hearing impairment and blindness. Diabetic Nursing is a registered nurse who specializes to work with patients who suffer from various conditions of diabetes. Diabetes nurses helps in explaining the condition of the patient clearly and help in understanding the treatment. They closely monitor the condition and identify any other health problems that may occur under the supervision of endocrinologists. Diabetes case reports are in-depth inquiries of an individual or a group of people suffering with diabetes. The data is collected from various places by various methods. The case study technique encompasses spotting, or reconstructing ‘the case history’ of a single participant or group of individuals, i.e. the idiographic approach. Case studies permit an investigator to investigate a topic in detailed and minute manner. The case study is not a research method, but a method of data collection and analysis that will generate material suitable for case studies. Diabetes is mostly caused due to lack of insulin production in the body hence insulin is administered externally. There are many number of types of insulin based on the time taken to act. Insulin is injected to the people who have difficulty in controlling the diabetes with oral medications. Nutrition, diet & exercise has a direct link in case of diabetes and cardiovascular diseases. Not having a proper diet or exercise increase the risk of heart stroke or Diabetes. In case of diabetes proper diet helps in delaying or even avoiding the complications of diabetes by maintaining right consistency of food in right proportions. Cardiology is a specialty which deals with the complications and disorders of heart and is advancing rapidly. New technologies like drug-eluting stents, , novel inflammatory markers, and ventricle assist devices imaging modalities like magnetic resonance imaging and 3D echocardiography, provides an unprecedented view of the function of the heart and an unparalleled prospect of therapies with which to treat disease. Cardiovascular research has rapidly increased in the past few decades. The main goal of the present researchers is to identify the complications, investigate the problem, and find an alteration and relieve the patients suffering with various cardiovascular diseases. Cardiac Nursing is a registered nurse who specializes to work with people who suffer from various conditions of the cardiovascular disease. Cardiac nurses helps to treat conditions such as unstable angina, coronary artery disease, congestive heart failure, myocardial infarction and cardiac dysrhythmia and other cardiac complications under the direction of a cardiologist. Cardiac nursing also perform postoperative care on a cardiac surgical unit, stress test evaluation tests, cardiac monitoring, vascular monitoring, and other health assessments. Pediatric Cardiology deals with complications related to heart in children. The complications may be genetic or hereditary. Heart Regeneration is defined as the regeneration of heart tissue which aims in repairing irreversible damaged tissue with stem cell and cell-free therapy. Reparative tools are used to promote body’s natural regenerating capabilities. However adult human cells don’t have the capability to divide and regenerate hence the damaged tissue is being replaced with healthy tissue also called as scar tissue. Obesity is a condition in which abundance muscle to fat ratio is collected to the degree that it might negatively affect health. Individuals when their body mass index (BMI), compared to that of an average man's weight by the square of the individual's stature, is more than 30 kg/m2, with the range 25– 30 kg/m2 characterized as overweight. Obesity is one of the major health concern worldwide. Obesity causes severe health complications including diabetes, high chance of cardiac arrest, asthma, Bariatric surgery is compared with a typical medical care. Bariatric surgery is being currently used with some treatment algorithms for the medical management of patients with T2DM and several fatness.